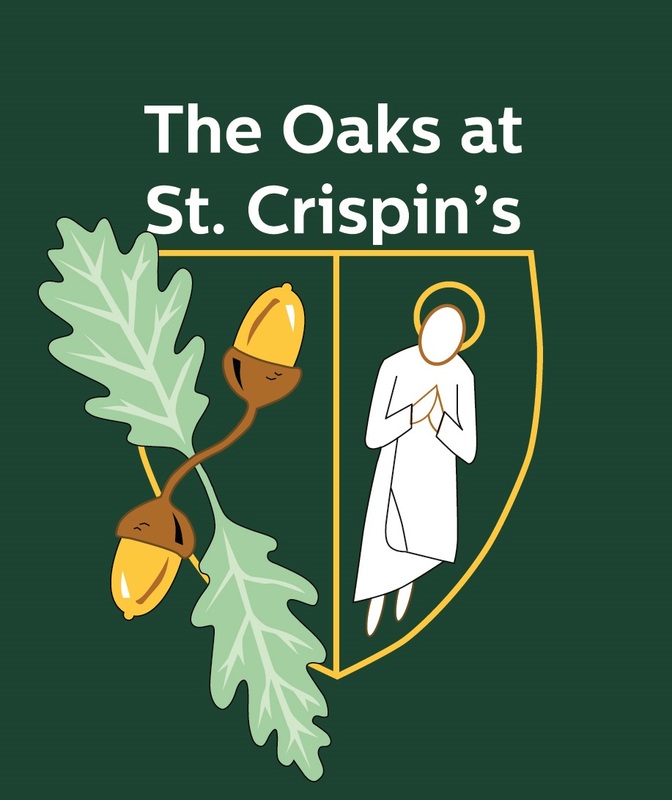 The Oaks is a specialist resource at St Crispin’s School providing support and structure for young people with an Autistic Spectrum Disorder (ASD) diagnosis. The Oaks is not a special school nor is it an isolated resource but rather acts as a conduit to facilitate students’ access to mainstream education. Our school vision statement, “Excellence for All”, wholly encapsulates the ethos of our specialist provision. The Oaks itself is a resourced space, staffed with specialist colleagues who deliver planned intervention to support a young person. The resource caters for five students in each year group. Support is designed to remove barriers to learning by, for example, reducing sensory overload or anxiety. In additional to the provision given to all students, those admitted to St Crispin’s through The Oaks may also have support from external services such as occupational therapy, speech and language therapy and/or an Educational Psychologist. We recognise that all young people are unique individuals and that ASD presents in many different ways. Our priority is preparing young people for adulthood. We want our students to thrive reaching their full academic potential as well as making progress in their individual area of need and as such students have access to a wide and appropriately challenging curriculum delivered by high quality teaching. St Crispin’s is an inclusive school. The Oaks is not in a separate building away from the school and our ambition is for all young people to be fully integrated and part of the whole school. All students at St Crispin’s School will access the mainstream curriculum, including students who will be supported by The Oaks. All students will be members of a tutor group and will take part in tutor events, assemblies and personal, social and health education. We encourage all our students to take part in a wide and rich variety of experiences to develop into well rounded, confident young men and women. For members of The Oaks in particular, we give priority to facilitating the participation in a full range of opportunities, including support to take part in educational visits and special events. The Resource is for 5 students in each year group to support young people on the Autistic Spectrum. The Resource will open in September 2017 for the first five students in Year 7 and will take a further five students in September 2018 and so on. This is not a special school but is a resource within a mainstream school to support students with sensory issues to integrate and benefit from our curriculum. Such students will have time for specialist support in The Oaks and to be in mainstream lessons. When an autistic student has a sensory overload The Oaks and Oaks staff will provide the space and expertise for individual teaching. Each student will have a two week timetable and five lessons each day. At Key Stage three students will study a wide range of subjects including: English, maths, science, PE, religious studies, history, geography, computing, art, drama, music, modern foreign languages and design and technology. At Key Stage four students will be able to continue with the core subjects of English, maths, science, PE and religious studies and will also be able to study four option choices. More details about the curriculum can be found on our website. The Oaks rightly gives additional focus and support to prepare students for their next steps in life, whether this is in St Crispin’s Sixth Form or a Further Education College, and later for the world of work. The Oaks will guide and give advice to students on the key transition points in compulsory education, Post 16 education and then on to adulthood. All applications for The Oaks will be through Wokingham Borough Council Education, Health and Care Panel as the admissions authority. If appropriate The Oaks will be named in a young person’s Education, Health and Care Plan (EHCP) as their specialist provision. With regret, students who do not have The Oaks named on their EHCP will not have access to this specialist provision. Young people who join our provision will be of compulsory secondary school age; with an EHCP stating a primary diagnosis of ASD and who require specialist teaching or additional support from other professionals to enable them to access the curriculum. The Oaks does not provide assessments for students pending an EHCP.